BALTIMORE, Nov 13: Harry Bhandari who has been elected to the House of Delegates from Baltimore Country District-8 in Maryland State, the USA, from the Democratic Party, has said the Nepalis living in every state have contributed to his election victory in an important way. 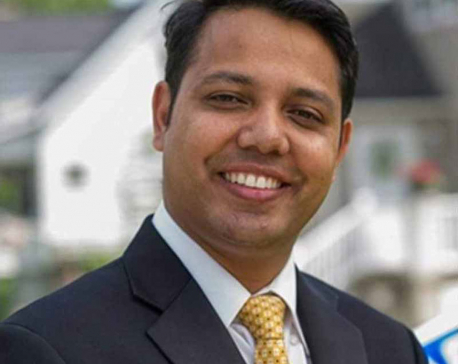 Bhandari has become the first American of Nepali origin to win a seat in the House of Delegates. He was active in politics since the last 10 years and was elected a Delegate in the midterm election held on November 6. He had acquired US citizenship seven years back. Talking to media Bhandari said he would voice the issues and concerns of the Nepali migrants in the US in the coming days. In the view of Dr Uttam Gauli, the credit for Bhandari’s election victory goes to his uninterrupted commitment, active participation, hard-working image and intermingling with voters. Only 100 people of Nepali origin out of the 80 thousand voters in the District voted in the election. “Bhandari has got the opportunity to serve as the Delegate in the House due to the strong base of pluralism in the USA,” Dr Gauli observed. In the words of the Maryland State political observers, the ‘pumpkin twig diplomacy’ of the Nepalis seemed to have worked in Harry’s electoral victory. The ‘pumpkin twig diplomacy’ refers to the adeptness of the Nepali community to win the hearts of their American neighbors by giving them the green vegetables and fruits grown in their backyards. Tarun Poudel, who was involved in Bhandari’s election campaign, said Bhandari’s winning the election has become successful in creating a distinct history for Nepalis living in the United States of America. 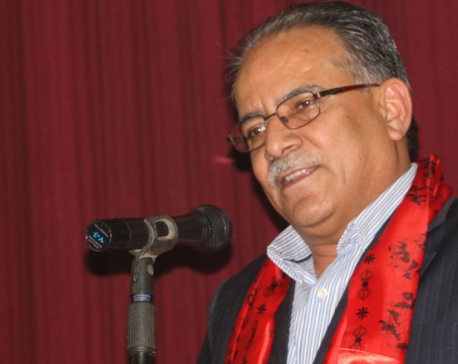 Gautam Dahal, the former president of Nepal-America Journalist Association, who lives in Maryland, said Bhandari’s victory has swayed the opinion of the Nepali diaspora in the US.